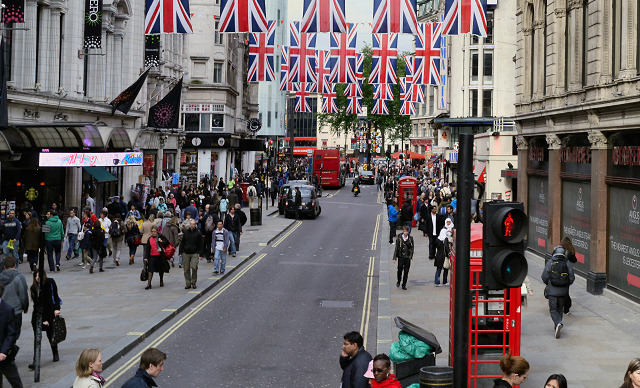 London is a vibrant and noisy city that is home to a truly multicultural population. Being the largest city and the capital of the United Kingdom and England, it is also the largest city in the European Union and Western Europe. As one of the world’s leading cities globally, London remains very much the hub and international capital for music, education, politics, finance, culture, trade and finance. London is situated on the River Thames in the South-East of England with Greater London continuing to include the closely associated urban areas and the history behind them. The closest and furthest boundaries can be found between Sewardstonebury beside Chingford and Epping Forest in Essex and between North Ockendon and Bulphan in Mar Dyke bordering London to the North East. Greater London has boundaries with many other home counties including Berkshire and Buckinghamshire located to the West, Kent to the South East and Surrey to the South and South West. There have been small boundary changes made by Central Government with the greatest taking place in 1969 when Farleigh was transferred to Surrey and Knockholt was transferred to Kent. During the 1990s, there was also the exchange of two Thames islands with Surrey in addition to the adjustment to areas of the boundary of the three boroughs situated close to the M25 motorway. There is only one part of Greater London that is located outside of the M25 motorway ring and this is North Ockendon which is also the furthest land from London city centre. The outer boroughs of London include the county of Middlesex to the West, with Heathrow Airport in the vicinity. The North is home to many upper middle class suburbs with plenty of greenery which were originally part of Hertfordshire and Middlesex before they were absorbed by Greater London. To the East there is the county of Essex which combines the former industrial areas of Beckton, Dagenham and Barking on the Thames Estuary. This area also includes Stratford which is now home to the Olympic Park Complex that was home of the 2012 Olympic Games. There is also the Stratford City Mall which is the largest inner city shopping centre in Europe. The stunning area of Epping Forest lies to the North East. The South was originally divided between Surrey and Kent and still today contains many commuter suburbs with houses of all shapes and sizes as well as the centres of Kingston upon Thames, Croydon, Bromley and Sutton. The South also includes Richmond and Kew which is home to Hampton Court Palace, and Wimbledon which is most famous for the tennis championships held every year. The urban areas that extend over the borders of Greater London reportedly housed 9,300,000 in 2005 whilst the wider areas are said to have a population of between 125 and 15 million depending on the makeup of the area. It is reported that London is the most densely populated city and metropolitan area of the entire European Union. London spans an area of approximately 1,600 square kilometres, with about 4,750 people per square kilometre which equates to at least 10 times more than any other region in Britain. London is the 25th largest city and is ranked 4th in the whole world for residence of US dollar billionaires. London is also ranked as one of the most expensive cities and is classed in the same way as Moscow and Tokyo. In 1801, the population of Greater London was made up of approximately 850,000 people in the urban areas and 250,000 in the villages and towns and this number had grown to approximately 8.5 million by 1939. However, there was a decline of residents in London seen in 1988 with figures sitting at around 6.5 million prior to the acceleration which was seen in the 1990s. The transport network in London is extensive and well developed and includes both public and private services. Approximately 25% of London’s journeys are made by public transport whilst the private services account for about 40% of journeys per recent published figures. The London public transport network is the central hub for rail, air and road in the United Kingdom. The transport services are managed by Transport for London which is more commonly referred to as TFL. TFL has control over most of the public transport in London including the buses, underground, Docklands Light Railway, Tramlink, London River Services and the London Overground. There are other rail services which are operated by the Department for Transport. TFL also has control over most major London roads, although this doesn’t include the minor roads. There are also independent airports that operate in London with Heathrow being the busiest in the UK. TFL oversees three separate railway systems across London with the largest being the London Underground which is a fast speed train service that operates underground. TFL is also responsible for the Docklands Light Railway, DLR which is an automated rail system that operates in the east of the city and finally there is the Tramlink service. 40% of the journeys that are made between the Inner and Outer areas of London are made via the Underground and the DLR. As such these are the two busiest services in London. The London Underground system is known as the Tube began operating in 1863 and was the first fast speed way of getting around. Every day more than 3 million people travel on the Underground. 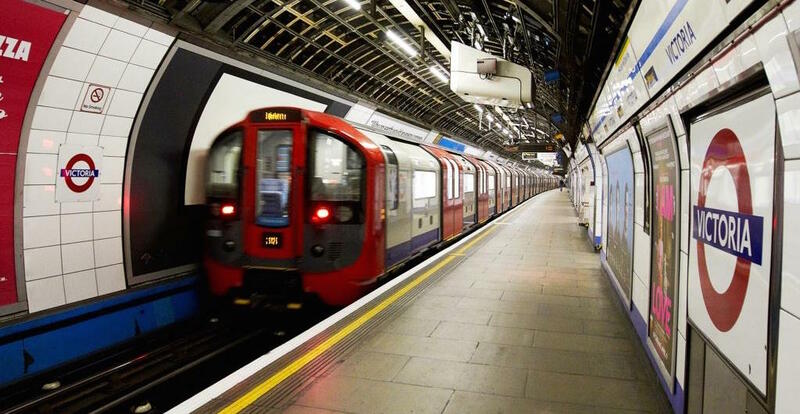 The Underground is made up of 11 lines which connect to the suburbs of Central London together forming a complex network linking the major railway stations, main business areas in the centre and other famous landmarks. The Underground is more predominate in North London and this is due to a combination of geology and competition from other railways. South London is primarily served by surface railways and it is important to note that most of the London Underground route is on the surface and not in the underground tunnels. The Tune is the most popular form of transport in London with almost 50% of the commuters in London using it. The DLR is an automatic rail service that operates in the Dockland area in East London. The Docklands Light Railway is the perfect partner to the Underground as they share the same way of charging fares and have several interchangeable services. The DLR is used by over 100 million people every year and is a major part of the infrastructure in the East area of London. The most popular stations are Canary Wharf, Camden, Woolwich Arsenal, Lewisham, Bank and Canning Town. The focal point of the British railway network is London and there are 18 major stations which offer a mix of intercity, suburban, airport and international services. There are 14 stations that are termini and 4 through stations. Most areas in London which are not served by the DLR or Underground are served by the suburban rail services into one of these stations. The suburban rail services are not controlled or part of TFL except for the London Overground and TFL rail services and they are owned by several private rail providers. London also offers a link via rail to mainland Europe through the Channel Tunnel Rail Link which is commonly referred to as HS1. The high-speed trains are known as the Eurostar trains and serve Brussels and Paris The London Eurostar terminus is located at Pancras International station and runs through Stratford International Railway Station as well as Ashford and Ebsfleet International railway stations which are in Kent. London is in the centre of a circular rail network which is the busiest and largest in Europe, serving the surrounding areas. Each terminus is made up of an area with most people commuting to central London either via the Underground or by surface railway. The three main airports in the UK are Heathrow, Gatwick and Stansted and these airports offer a dedicated train services, as well as having standard commuter services also on offer. The Express service for Heathrow is operated by Heathrow airport holdings, whilst the Gatwick Express runs from Victoria and the Stansted Express from Liverpool Street. 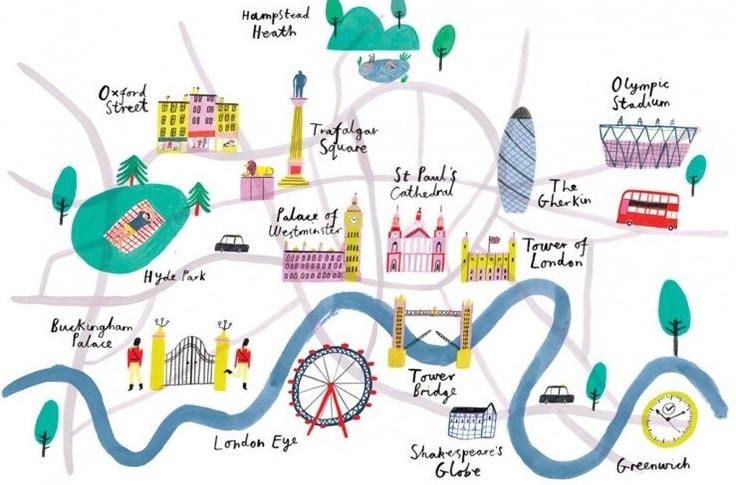 For anyone wanting to find work in London there are a plethora of opportunities. IN accordance with a survey of over 200,000 people in 2014 London was named as the most desirable city worldwide to work in. The figures proved that worldwide London is thought of as the best place worldwide to work, due to the wide range of work on offer and the fast pace of life that London offers. The confidence in the London economy is still high with 2015 seeing a growth of approximately 3%. There was a strong increase in businesses that were looking to recruit with at least 15% predicting that their workforces will continue to increase. The opportunities that are on offer in London cover a wide spectrum ranging from skilled to unskilled vacancies. For those able to speak one or more languages work in London is easy to find due to the multicultural nature of the city. 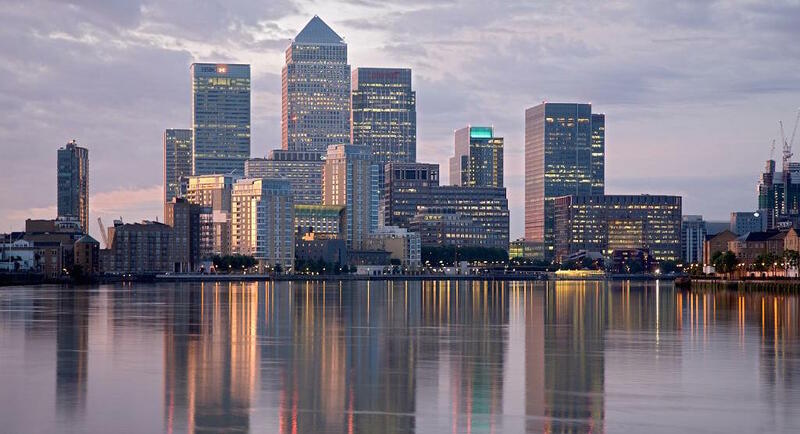 London’s main areas of business include finance and business which is most prevalent in Canary Wharf. The other areas of business that are often looking for employees include creative and digital industries, tourism and property services. There are many people that work within the central and local government in the administration departments as well as in the health service. Four of the top universities in the world are housed in London therefore teaching posts are reasonably easy to find. The growing construction industry can be seen on the changing horizon over London and this also offers many jobs for both skilled and unskilled manual labourers. The largest growth was seen in 2015 and came from the scientific, professional and technical niches as well as positions in IT, entertainment, recreation and arts sectors. The competition for jobs in London is fierce and as so any single position will have hundreds of applicants. Measures that were put in place in 2011 saw a cap of over 20,000 posts per year on non-EU killed workers being able to earn more than £20,000 a year. Therefore, foreign nationals will find that the best way to gain employment in London is to ensure that they apply for a position that is on the UK short list of occupations. These posts generally come from mechanical, civil and electrical engineers as well as maths and science teachers, certain medical staff to name just a few. The lively multicultural city of London is reflected in both the multicultural workforce and the workplace itself. Those working in inner London are more likely to be well educated with at least 60% having degrees. There are more and more graduates that are having to begin in non-graduate jobs due to the huge number of educated graduates competing in the London workplace. Currently, approximately 35% of the available jobs are part time and 65% are full time. The London area of Kensington and Chelsea is the most expensive place in the country when it comes to property at approximately £11,321 per square metre, which equates to about £120,000 for a 3 metre x 3.5 metre double room. For comparison, the cheapest location in the UK would be about £23,000 for the same room. The South of England and London top the most expensive locations with regards to property, however, Kensington, Chelsea and Westminster are the only areas in England that command a price of over £10,000 per square metre. Statistics prove that the average price of property per square metre has increased by over 250% in the past 15 years. There has been an obvious widening between North and South property over the last 20 years with prices per square metre rising by over 400% in Greater London, this is more than twice the increase that has been seen in the areas located outside of the south of England. The city of London is awash with things to see and do and caters for all ages and interests. Whether it is the London Eye, the Tower of London and all the history that goes with it, or many of the other attractions, there is no doubt that you will enjoy whatever you choose. London has many landmarks that are completely free of charge and many other places that offer discounted or special offers on entry when you use a London Pass and these attractions can all be found on the London Attraction maps that are available from most hotels and this is a great way to ensure that you miss nothing! 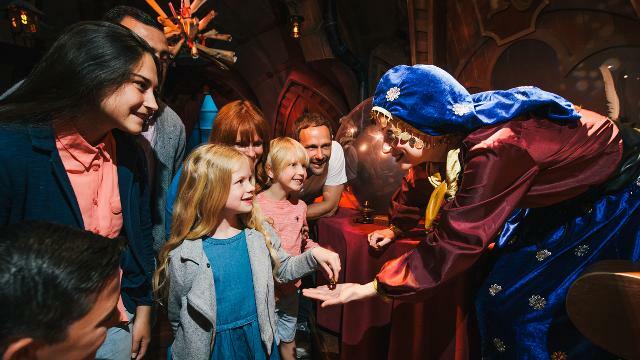 London offers a plethora of places which are deal for children such as the London Aquarium or why not explore the Science Museum with plenty of interactive displays based around technology and science. If these don’t really appeal, there are many other museums or you may decide you want to visit the Queen at Buckingham Palace, or capture the perfect selfie with Big Ben! It is advisable to book online to avoid queues particularly in busy times such as school holidays, you can even purchase fast track tickets that will keep you at the front of the queue! Enter the world of wizardry and witchcraft with this behind the scenes tour of the famous Harry Potter films. Get to see the sets, props and costumes that were used in all the films and you can even step into some of the locations that were used including Hagrid’s hut, Dumbledore’s office and the Great Hall. Booking is advised and tickets are available from £69.00. The London Eye is a major part of the London skyline and is made up of 32 capsules that weigh 10 tonnes each and can hold up to 25 people at a time. 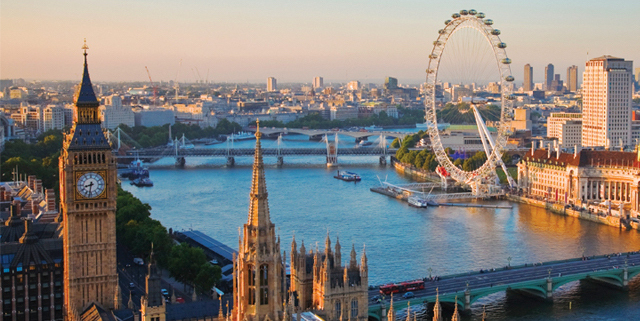 Not only will you experience some of the best views but this truly breath taking experience will also provide you with sight of 55 of the most famous landmarks in London. The tour lasts for approximately half an hour and tickets start from £22.50. 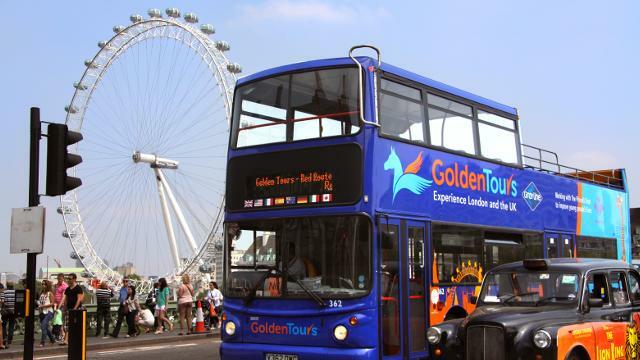 The Hop on/off bus tour is one of the bestselling tours in London and tickets start from £29.00 and last 24 hours. By choosing this mode of transport you can enjoy the freedom of hopping on and off the bus to explore any of the famous landmarks that take your fancy! The tour includes places such as Buckingham Palace, the Tower of London, Trafalgar Square, St Paul’s Cathedral and Westminster Abbey to name just a few. 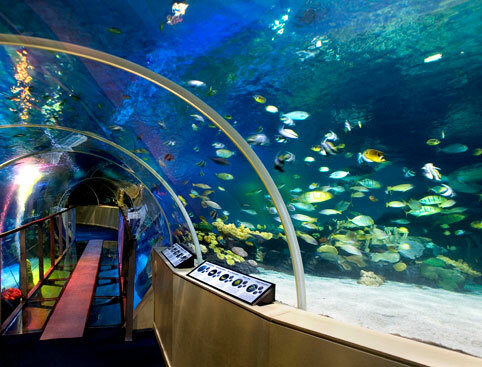 With over 400 species including sharks, eels, clown fish and stingrays on show a trip through the sea at SEA LIFE is a great way to spend your time. With daily talks and feeding displays this is bound to be a hit with all. The tickets start from £19.50 and booking is advised. 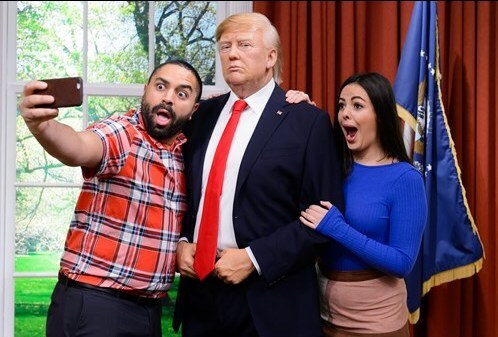 Madame Tussauds gives you the opportunity to mingle with the rich and famous. From One Direction to Shakespeare, politicians, royalty the list is exhaustive! Tickets start from £29.00 just remember to take your camera! 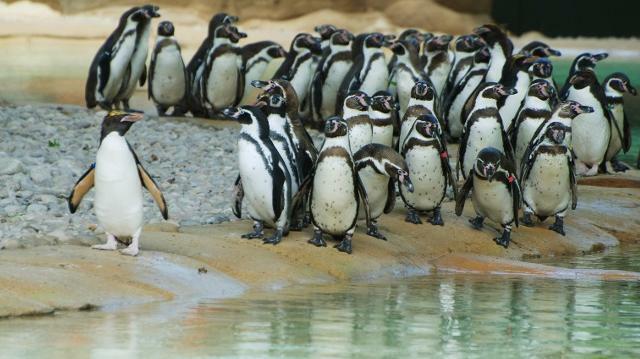 The ZSL London Zoo is one of the oldest zoos in England and home to over 16,000 animals including tigers, penguins, hippos and giraffes. For a truly great family day out take in the petting zoo where children can feed the sheep, llamas and donkeys. Booking is advised and tickets start from £24.30. Go on a family friendly adventure through the world of Shrek and friends. Guided by Donkey you will visit 10 themed shows including Shrek’s swamp and a mirror maze. This makes a great day out particularly for children and tickets start from £18.20. 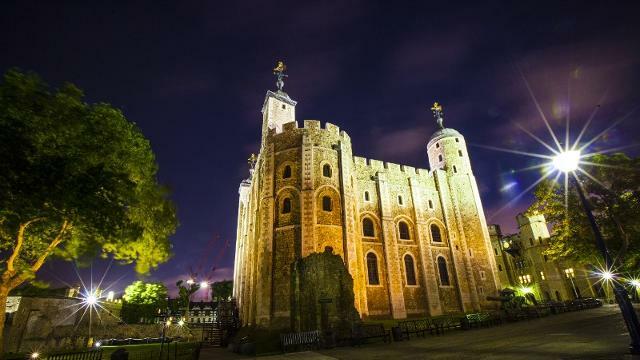 The Tower of London is a must as you will be taken on a tour with a Yeoman Warder around the Tower which is one of the most famous buildings in London. Find out about the 900-year history of the building which has been a palace, prison and execution place, jewel house and even a zoo! Continue your tour through the bedchamber of a medieval King and be stunned by the famous Crown Jewels. Booking is advised and tickets are available from £24.80. 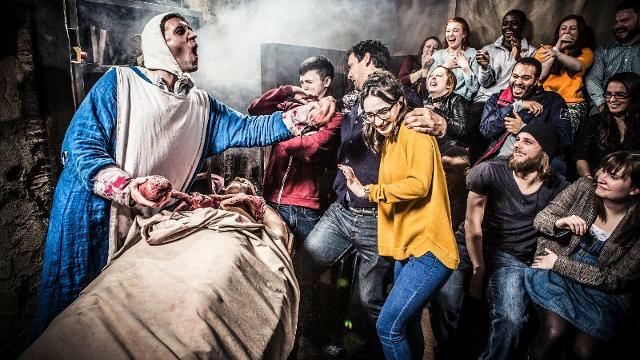 With tickets starting from £23.20, the London Dungeon is truly fascinating. Become familiar with the ancient capital’s horrible history which are told brilliantly by live actors, there are also several totally thrilling rides and amazing special effects. This tour takes about one and a half hours. Rise above London and experience the city’s skyline from a stunning perspective with views that span about 40 miles. 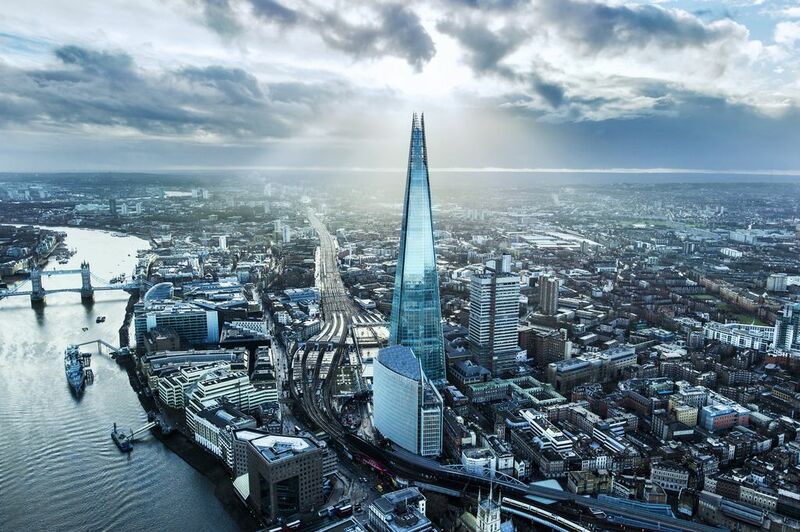 The view from the observation deck of the Shard is truly stunning and you can expect to see things such as the London Eye, Wembley Stadium and St Paul’s Cathedral. The observation deck in the Shard is located 800 foot up this enormous building that is the tallest building in Western Europe. Tickets start from £25.95 and booking is advised.